International Dance Festival Birmingham is back with a bang and for 2016 it not only offers 11 world and UK premieres but also shows from 17 countries. One of those countries is The Netherlands through the breathtaking dance of Nederlands Dans Theater 2 - the junior, more avant garde branch of the famous dance company. This exciting group of dancers, all aged between 18 and 23, bend, point and contort themselves around, over and under each other using precise yet also very angular modern choreography. There's four performances through the evening that are hypnotising and unique. 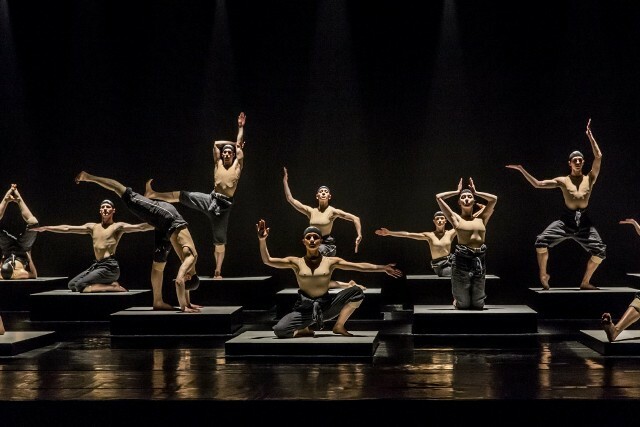 Performances were at Birmingham Hippodrome on May 3 and May 4 as part of International Dance Festival Birmingham, which takes place across the city and neighbouring regions from May 1 until May 22. The show opens with nine dancers on stage for the bright and cheerful I New Then. This was created by multi-award-winning Swedish choreographer Johan Inger and sees various relationships and comedy formed within the dance that is accompanied by songs from Van Morrison. Sheer ability and shapes formed by the talented cast opens your eyes and heart to a whole new style of dance and storytelling. The most spectacular part of the show, however, is also the simplest - the short piece, Solo. This work by legendary Dutch choreographer Hans van Manen features a rotation of three male dancers each taking their turn on stage to a haunting soundtrack of the violin solo of Bach's Partita. It draws you into the momentum and is a breathtaking piece of theatre, especially as the ballet speeds up into a crescendo. Among the other works in the show is the UK premiere of Edward Clug's Mutual Comfort. It's a brief beautiful piece from the Romanian choreographer that features four dancers combining pas de deux and individual movements. While the finale of Alexander Ekman's Cacti is unique and funny while also taking the mickey out of the pomp of some high art dance pieces. It's a tongue-in-cheek yet also vivid production that opens with the dancers turning themselves into a human orchestra. There's also a wonderfully comic section where you can hear the inner thoughts of a couple dancing. It's very funny and uplifting. Birmingham Hippodrome has pumped around £1million into International Dance Festival Birmingham in recent years, and ahead of this show, Hippodrome chief executive Fiona Allan noted how profits from the panto and ice creams helped to subsidise this special dance festival. With such cutting edge dance like this from Nederlands Dans Theater 2 being offered to audiences in Birmingham, you are grateful for all those ticket and ice cream sales. Another distinctly memorable production to maintain the high profile of International Dance Festival Birmingham.